Renegade Technologies' engineers have over 27 years of experience programming and maintaining PBX & voice mail systems and managing telephone services for businesses with two through 200 employees. We also design and install new systems focused on your needs and desires with room for growth, choosing quality and appropriate components & services regardless of brand. We do not profit from equipment purchases and recommend only what is necessary to reach your desired functionality. You benefit from Renegade Technologies' strong relationships with dependable and trustworthy equipment vendors and service providers as we construct your solutions. We've already done the provider-selection work for you! Or, we will gladly work with your preferred providers to deliver the optimal solution for your situation. Having worked with telephone service providers for years and keeping abreast of the latest offerings and trends, we can evaluate your existing services and recommend alternatives that are less expensive, better quality, or both! And in many cases, your telephone system hardware doesn't need to change. VoIP PBXs are the latest trend in telecommunications and for good reason: they allow remote workers to use the office phone system securely no matter where they are in the world, use a single network for both computers and telephones and can give you the freedom to mix and match telephone handsets from different vendors including computer-based "softphones." As such, Renegade Technologies frequently uses them for new installations. We can also connect them to existing legacy systems to provide additional functionality, future expansion and/or controlled migration without having to replace the entire system at once. Due to the nature of how they operate, a VoIP PBX does not need to be located in your office. 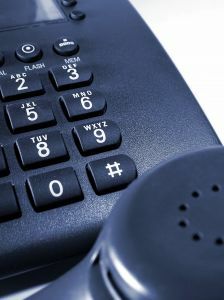 Renegade Technologies also offers Hosted PBX services, freeing you from having to worry about the central system at all. You only need VoIP telephones, a suitable Internet connection and appropriate network hardware and we will take care of the rest. Dramatic savings on calling costs can be realized when you switch to a VoIP service provider, especially if you often call internationally. Taking advantage of this requires a VoIP PBX (on-site or hosted,) a suitable Internet connection and appropriate network hardware. We can evaluate your site(s) for these requirements and work with you to implement a total VoIP solution. Renegade Technologies also offers VoIP service at very competitive rates. Contact us for more details, or sign up here. We specialize in more fully utilizing your existing systems and services to either meet or get closer to your ideal functionality without significant additional purchases: We assess the capabilities of the systems in accordance with your wishes and devise ways to adapt them to your changing requirements. We will also inform you of other potentially useful capabilities that you may not have been aware of! Contact us today to find out how your telecommunications technology and services can better serve you! © 2004-2019 Renegade Technologies. All Rights Reserved.